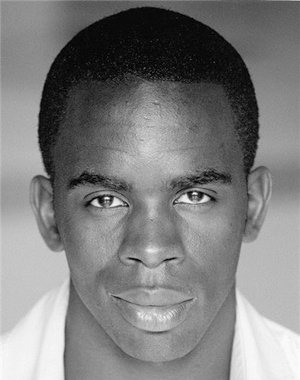 Jimmy Akingbola is known to most as an actor of stage and screen - he is also one third of the members club Triforce promotions, who hold regular networking parties for people in and outside the industry. Their new event 3P’s, also offers a platform for new writers and once a month stage a rehearsed reading at Soho Theatre. The east London born actor sat down with Karla Williams to talk about how it all began, plans for the future and being part of the new season of black plays at the Tricycle Theatre. So first of all who, or what is Triforce promotions? Triforce promotions consist of, what I like to call us, the three little monks; two actors and an IT engineer. There is myself aka Mr Nice, then there’s the other actor Fraser Ayres aka Mr E or Mystery - because some people don’t get that so I put that in there. And then there is Jason Angol aka Mr Wolf, who is an old school friend of mine who has been supporting my acting from day. So between the three of us we are Triforce promotions. And what do you actually do? People have said we promote ourselves and we’re good at doing that but I think if you check our events, when we stared it was about our network partying nights but then it evolved. We like to give people a platform. I was in the play The Christ of Coldharbour Lane at Soho Theatre and after the show I used to go to the Rex Cinema and Bar and take some people with me. There would be like 30/40 people and it would be a nice vibe. The manager approached us and said if you ever want to do anything then let me know, so the three of us sat down and realised we were tired of paying lots of money to be members of clubs like Groucho or Soho House or The Hospital. Also we realised we got bored. We would go to these places and we might see Tom Cruise across the room or some big name but then we were like ‘Man, its dry in here!’ So we decided to create our own mobile members club. What are your aims for the company over the next few years? We would like it to eventually grow into a production company. I would like to start creating film and television and be able to create it in-house. Also we would like to have a building that could house a lot of the ideas and things that we are doing. At the moment, we have to go to places and shed money, beg, make crazy promises and then do a runner. (Laughs). We also have another sister company branching off called Grey Scale, that would be a theatre company, and we’re going to be doing some really interesting work with that – but I can’t go into too much detail. It’s just about trying to keep growing because you get to a point where you can’t do much more at that level and it’s like, do you stop it and say you’ve had a good run or do you try and shed that skin and move on, push the bar up and expand. But it’s not easy; I have to keep on saying I’m an actor...my main focus is the acting but I feel like this country sometimes pigeon holes you to say that you can only do one thing. Bringing me nicely on to your acting; you’re in rehearsals for the new Roy Williams play as part of a season at the Tricycle Theatre. Yes, the season is called Not Black and White. The Tricycle normally do an African-American season but I’ve always found it odd that they’ve never done black British playwrights. 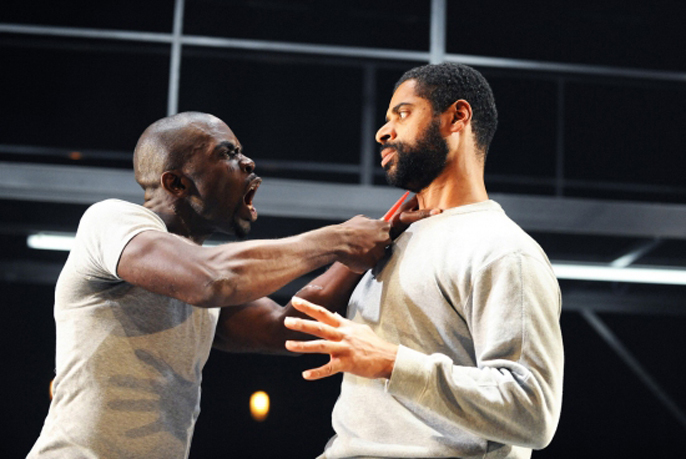 I think this year, Nick Kent [the theatre’s artistic director] had an epiphany, ‘Why don’t we do black British playwrights!’ So they approached Kwame [Kwei-Armah], Roy Williams and Bola Agbaje and they are doing three plays all commenting on society in the twentieth century. So tell us about your play? The play that I’m in starts the season and is called Category B. It’s a prison play about the hierarchy between the screws, the prison officers, the cons and the rights and wrongs within prison. Can you run a prison by obeying by the rules and not cutting any slack to ensure it runs smoothly? In this play you just see everybody affected and corrupted by the institution and the environment they are in. I’m playing a character called Saul who is [adopts a New York accent] ‘the Top Dawg’ of the wing. And have you worked with Roy Williams before? So I take it excited is the correct word to describe how you feel about working with Roy Williams? Yeah excited, honoured, relieved! (Laughs) And a little bit nervous and scared because I don’t want to be doing the play where everyone says that was one of Roy’s worst. (Laughs) But he’s got a great hit rate and I don’t think anyone has ever said that about his work. Finally, what does Jimmy Akingbola have planned for the next year? I’m seeing this play out until the end of the year, then in January I’m taking a working holiday to LA and I have some meetings out there. Monologue Slam, which is another company I’m involved with, we’ve got some big plans for the New Year so I’ll be hosting them. We’re also going to be doing some plays at the end of the year, I won’t be in them, but we are going to be doing ten short plays. Then Triforce will help develop Maynard [a screenplay by Fraser Ayres] and help get it on the BBC. Also I want to try and push some more screen time whether it’s television or film, and just continue to enjoy my job.